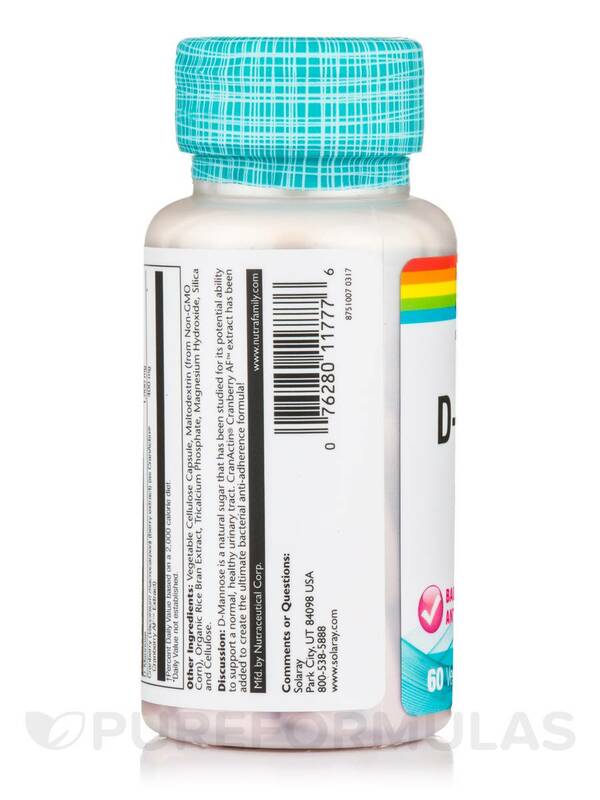 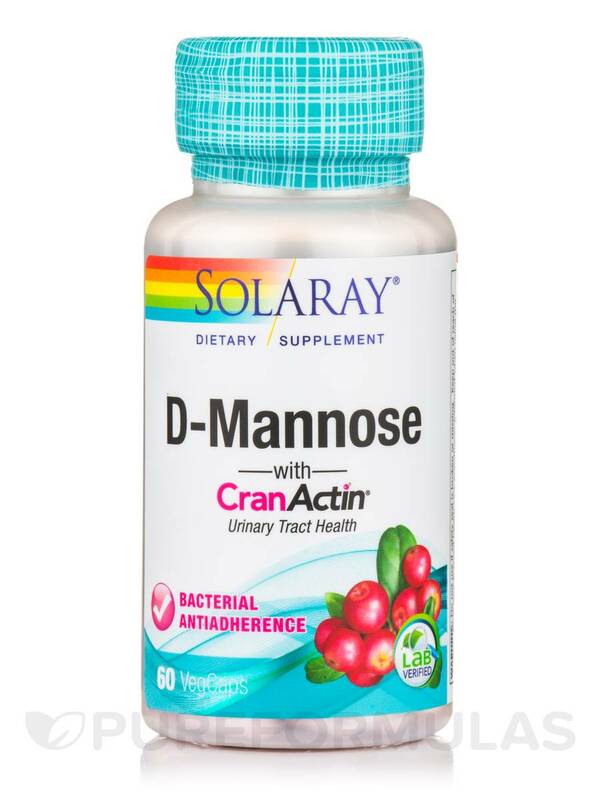 D-Mannose is a natural sugar that has been studied for its potential ability to support a normal‚ healthy urinary tract. 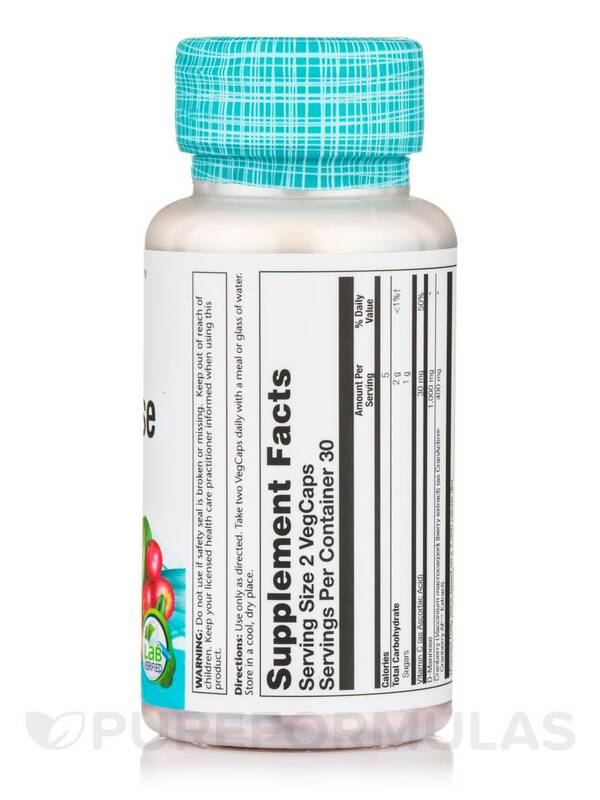 CranActin® Cranberry AF™ extract has been added to create the ultimate bacterial anti-adherence formula! 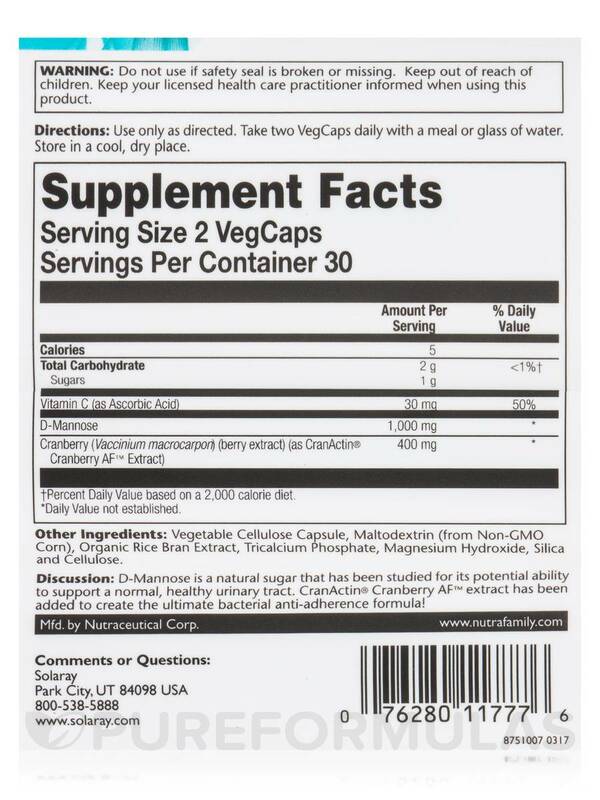 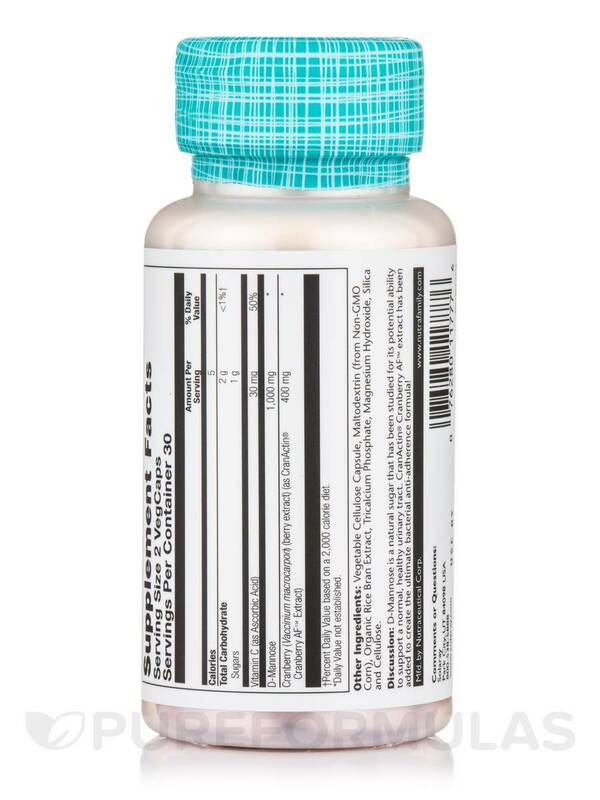 Other Ingredients: Vegetable cellulose capsule‚ maltodextrin (from Non-GMO corn)‚ organic rice bran extract‚ tricalcium phosphate‚ magnesium hydroxide‚ silica and cellulose.